Late 1980s/ early 1990s stretchy body con crop top. 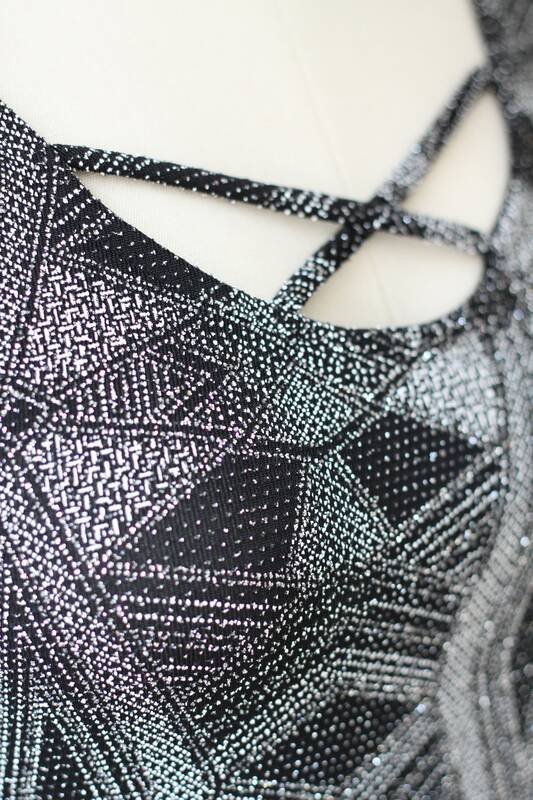 Black and silver geometric print with an overall sparkle to the top. Much more sparkly than what the photos allow. 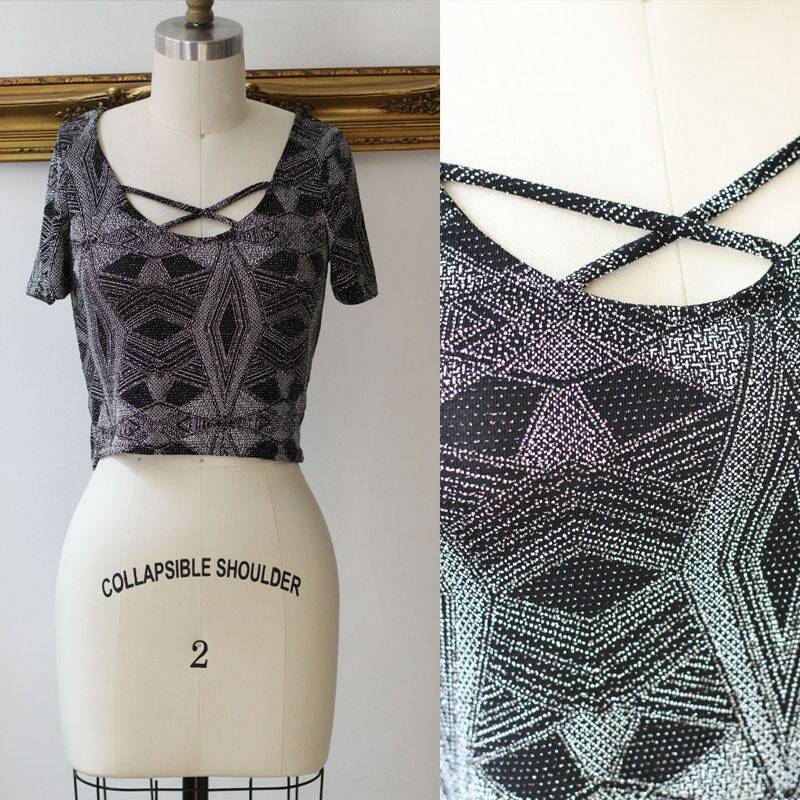 Crisscross fabric pieces on the front of the chest with cutouts. Short sleeves. 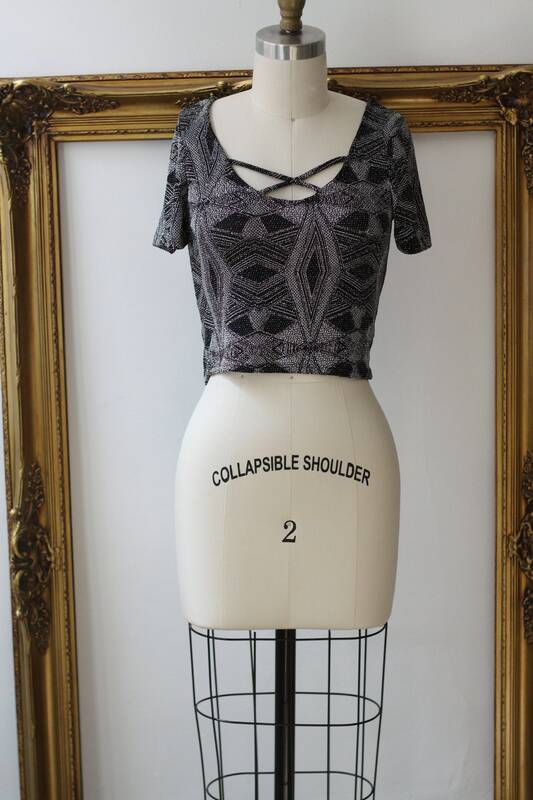 Lots of elastic to this top which allows this top to form to the wearer and could be worn for xs/small/medium depending on what you want the desired fit to be.